Gorgeous one story Caribbean villa. Backyard pathway leads directly to the ocean and beachclub facilities. Newly renovated with four master suites and bathrooms, two level pool with cascades. Situated in one of the most prestigious gated communities on the north coast. Five minutes from famous Cabarete beach. 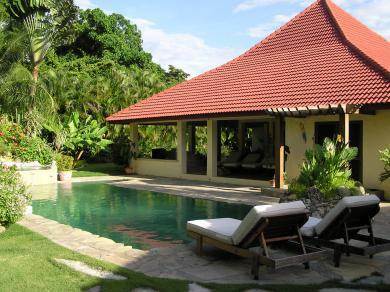 Contact us now for more details on this charming villa.